Claire Huchet Bishop (1899 - 1993) was a children's novelist and librarian. She was the winner of the Newbery Honor for Pancakes-Paris and All Alone, and the Josette Frank Award for Twenty and Ten. 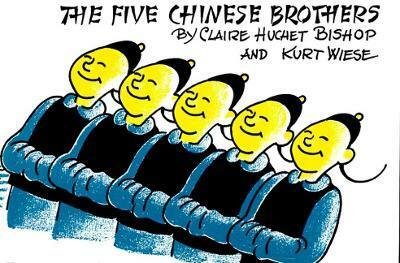 The Five Chinese Brothers won the Lewis Carroll Shelf Award in 1959.